Lugo is one of the main cities along the Camino Primitivo, the oldest Camino de Santiago route, and a must-see on your visit to Galicia. If you are walking the Camino Frances from Sarria and making your way by public transport from Santiago de Compostela Lavacolla airport, you are likely to change bus at Lugo station where you will take the bus to Sarria*. 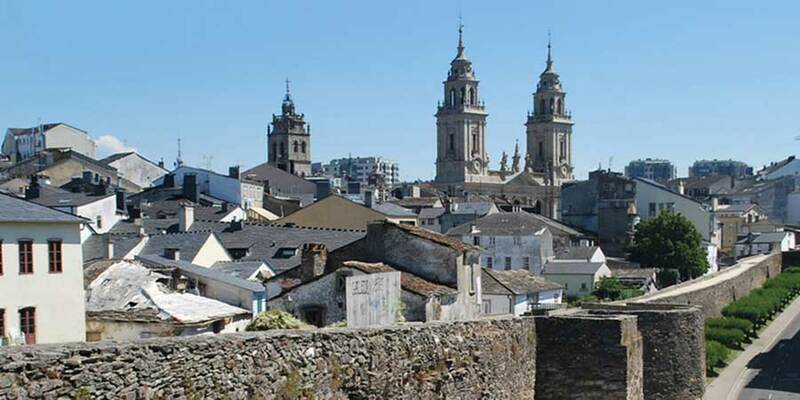 If you are arriving early, we recommend you stop for a few hours to check out Lugo’s historic centre before you hop on the bus to Sarria. We feel it would be a real shame to miss it! 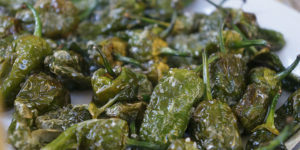 If you are arriving around lunch time or you are feeling peckish, Lugo’s Old Town will be a real treat. 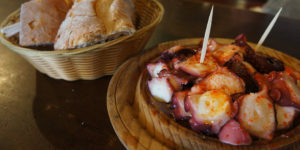 If Galicia is well known for its tasty food, Lugo is one of the best places to dig in. We recommend you wander about the Old Town where offering free pinchos (small little tapas) with each drink is a local tradition. Each glass will come with a complimentary dish that could be anything from freshly made tortilla to the classic Galician empanada (savoury pie), octopus, stews and other home cooked meals. This is a favourite pastime and tradition for locals, particularly at weekends. If you are still hungry after your free pinchos, you can also get fantastic food at great prices around this area (and most of the city, really), including daily specials and set menus. Head for the streets in and around Praza do Campo such as Rua do Miño and Rua Nova to experience the best of Lugo’s gastronomy and discover the city one ‘pincho’ at a time. It is also important to note than in most towns and cities in Spain, shops close at lunch time (approximately from 1.30pm to 4.30 or 5pm, to be then reopened again until late). This will mean the ‘shopping’ parts of town will be quiet while it will be prime time in the streets with bars and restaurants. 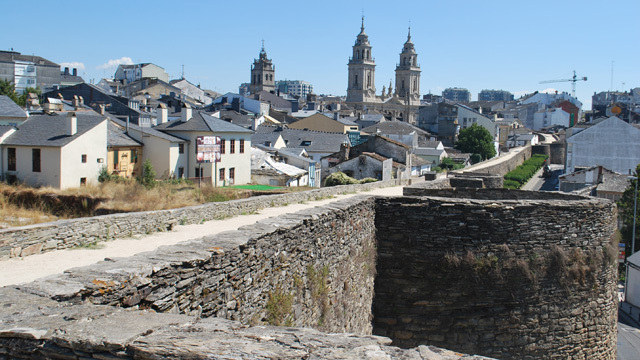 Lugo’s most iconic attraction, and rightly so, is its spectacular Roman Wall, a perfectly preserved structure dating back to the 3rd century and wrapping around the Old Town for over 2kms. Lugo’s impressive UNESCO-listed Roman Wall (Muralla Romana de Lugo) is up to 7 metres wide and has 85 towers and 10 gates, including the Porta Miñá (referring to the River Miño), which is the way out of the city for pilgrims on the Camino Primitivo (the Original Way). You can actually take the steps up the wall and go for a walk along the full loop (another activity favoured by locals). 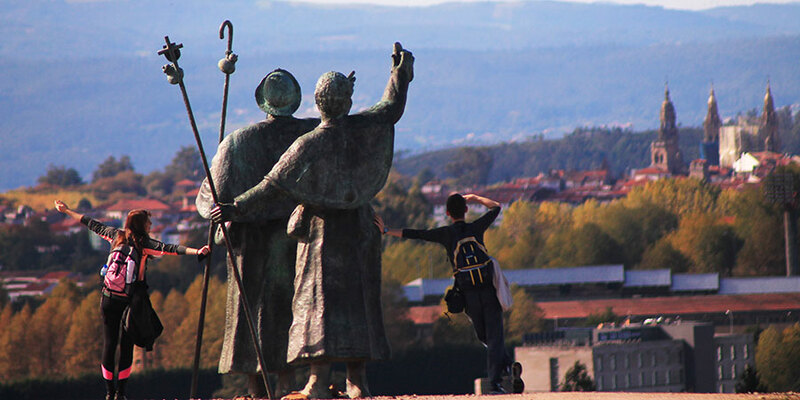 You’ll get a great perspective of the city and it will give you a chance to get some training done for your Camino, as well as burning all those tasty pinchos. The Main Square (Praza Maior) is a great place to relax and watch the world go by for a while, after your walk. There are many cafes where you can enjoy some downtime with a cup of coffee before getting ready for your bus to Sarria*. Before you go, however, you should visit Lugo Cathedral in Praza de Santa Maria, just a few metres away from the Praza Maior. Originally built in the 12th century and therefore a Romanesque building, many other styles have been added overtime, hence its Baroque, Gothic and Neoclassic elements. If you have a couple of hours to spare and you are interested in history we recommend you visit the local museum (Museo Provincial) where you will be able to fully appreciate the city’s rich heritage and history, particularly from the Roman era. 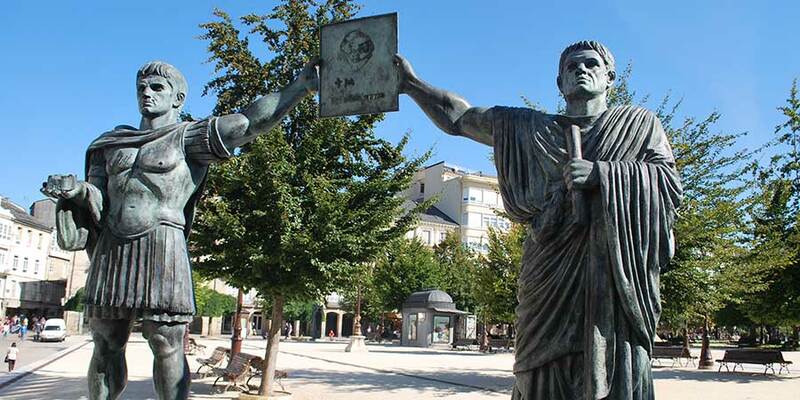 Each year, the city celebrates this Roman heritage with a period festival, Arde Lucus, that transforms Lugo back into its 3rd century city self: Lucus Augusti. For those spending the night in Lugo, a visit to the Roman Baths is highly recommended. The baths are today part of a hotel-spa complex Lugo Hotel Balneario, so you can combine both history and pampering. The baths are also very close to another one of Lugo’s iconic structures: its Roman Bridge over the River Miño. 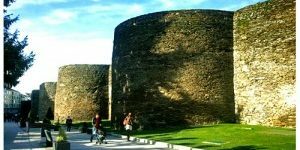 *Lugo Bus Station is located outside the Roman Wall, just a few metres from the Campo Castelo gate (Porta do Campo Castelo). For more information and advice about Lugo, the Camino de Santiago routes or to book your Camino trip, contact our travel specialists.